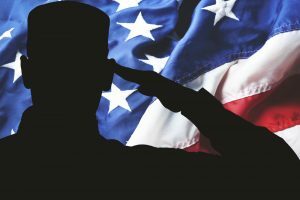 What is a Military Veteran? The term “Veteran” means any person who served in the active military, naval, or air service, and who was discharged or released there from under conditions other than dishonorable. Please take some time to look further into the phrase active military, but for most circumstances, if a person was disabled or died on active duty, regardless of time served, that person is a Veteran. The other standard requirement is to have been released or discharged under conditions other than dishonorable. On important days as Memorial Day, it is to recognize those who paid the ultimate sacrifice to our country, Veterans Day is about reflection and a time to show appreciation or merely say thank you to those who have gone before us. There have been many lives lost due to war and equally as many hard memorials for their families and loved ones. 2. In the case of a veteran who served with the United States military forces in Russia, means the period beginning on April 6, 1917, and ending on April 1, 1920. The term “World War II” means (except for purposes of chapters 31 and 37 of this title) the period beginning on December 7, 1941, and ending on December 31, 1946. 1. The term “Korean conflict” reflects the period beginning on June 27, 1950, and ending on January 31, 1955. 2. The term “Armed Forces” reflects the United States Army, Navy, Marine Corps, Air Force, and Coast Guard, including and during the reserve components thereof. 3. The term “period of war” means the Spanish-American War, the Mexican border period, World War I, World War II, the Korean conflict, the Vietnam era, the Persian Gulf War, and the period beginning on the date of any future declaration of war by the Congress and ending on the date prescribed by Presidential proclamation or concurrent resolution of the Congress. 4. The term “veteran of any war” reflects any and all veterans who served in the active military, naval, or air service during a period of war. 5. The term “compensation” reflects on a monthly payment made by the Secretary to a veteran or his family because of service-connected disability, or to a surviving spouse, child, or parent of a veteran because of the service-connected death of the veteran occurring before January 1, 1957.